# Participants Used:List how many participants used the group. # Cards:The number of total cards placed into the group by all participants combined. # Unique Cards:The # of unique cards placed by all participants combined. 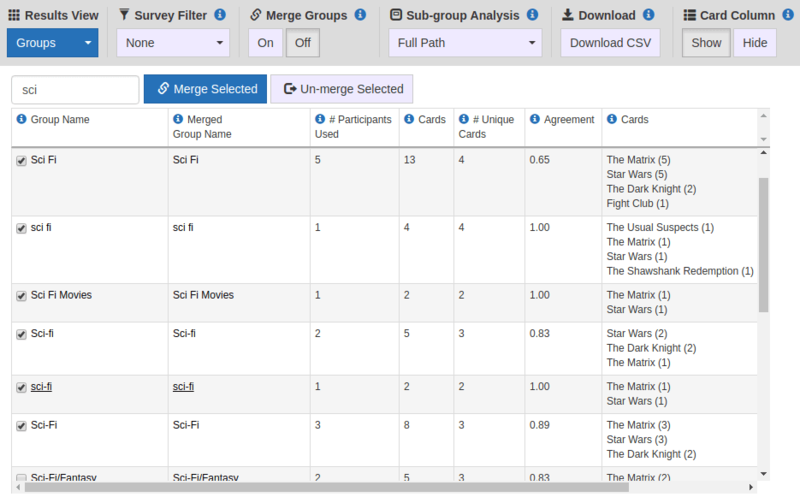 Agreement:The agreement field indicates the level of participant consensus about which cards belong in a group. Cards: A list of the cards placed in that group with the count in parentheses.